Just started a new day and found your car battery dead? 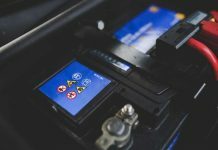 Chances are that your car battery is just discharged. Today we will focus on the correct charging a car battery with a battery charger. Charging a car battery should be an easy task. Just connect the negative wire from the car battery charger to the negative terminal of the battery and then connect the positive wire to the positive car battery terminal. Next turn on the car battery charger and wait for the amount of time advised my the instructions which came with the car battery charger. Simple enough. 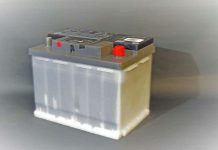 Correct charging a car battery with a battery charger could on the other hand extend the life of your car battery. Determining the cause of your car battery’s premature death could help revive it and keep it well and running for a long time. First of all I must say that the tasks described in this article are for the DIY kind of people. If you don’t know how to use a multi-meter of what is sulfuric acid better take your battery to a car service center and they will check it for you and replace it if necessary. Determining what caused your battery to discharge could be enough to have it good and running again. First check if you turned of the lights last night. Check even the interior lights. If this is happening during cold weather, especially during the freezing season you should know that the car battery voltage is dropping when it is cold. The colder is outside, the lower the car battery voltage will be. To avoid this you should keep your car inside a warm garage if possible. Some people prefer to take the car battery inside during freezing nights. Just remember that removing the battery from your car will cause losing some of your settings. Before charging a car battery with a battery charger you should remove it from the hood of your car. If you can’t remove it, at least make sure the hood will not close accidentally over your charging wires because this could start a fire. 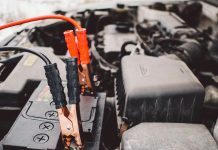 In any case, the car wires should be disconnected from the car battery terminals while charging a car battery with a battery charger. This is to avoid damaging other components inside your car. 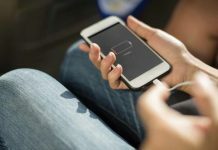 To avoid losing settings, like the radio channels in your car stereo, a special backup device could be installed before removing the car battery terminals. Always disconnect the positive terminal first. Usually the positive wires are red and the positive terminal is marked with a big “+” (plus sign) on the car battery. Correct charging a car battery with a battery charger assumes that you would pay a careful attention not to start an electrical fire. Next disconnect the negative connector. 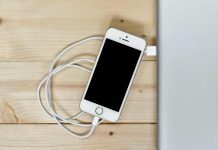 If you placed the backup device instead your car battery you should be careful not to short the positive and the negative terminals as this would not only discharge the backup battery but also cause losing the settings. Our next step of charging a car battery with a battery charger is to remove the car battery from your car. If it is not possible (some are hooked really well inside the hood) at least keep the garage ventilated. If you removed the battery place it for charging somewhere in a well ventilated place. This is because while charging a car battery with a battery charger the car battery releases invisible fumes, without smell, which could explode. Having the car battery out of the hood you should visually inspect it. If you see any leaks or it is swollen you should discard it and replace it with a new one. Swollen battery is always a sign of old and dried battery. Leaks are very bad because the liquid inside is sulfuric acid which burns through metal and skin. Any salt deposits from your car battery terminals should be removed. These could cause imperfect contacts which could lead to voltage drops and affect your car’s ability to turn on. Next you could check the liquid level inside your battery. This step is a bit dangerous so take extra precaution. Latex gloves and plastic protective glasses are a must. Usually car batteries have 6 taps on top which could be unscrewed. Some are sealed and covered by some peace of plastic glued in place. Remove this carefully and then slowly remove the taps covering each element of the car battery. Check the liquid level inside the battery. The sulfuric acid solution should cover the zinc / lead plates. A low acid level is low inside the car battery causes the battery voltage to drop. The acid level can be restored by adding distilled water to each element of your car battery till the liquid covers the lead and zinc plates. Just be very careful. Add the distilled water very slow because adding water to acid causes a thermal reaction and generates lots of heat. Even if the concentration of the acid is low inside the car battery you should still take any precaution. 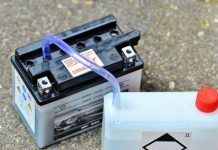 Many times restoring the level of acid inside the car battery is enough to revive it and makes charging a car battery with a battery charger not necessary. The car battery will charge once you drive enough. Wait till it’s done. In the meantime keep the room ventilated. If your car battery is not old then it should be fine after 10-16 hours of charging a car battery with a battery charger. Sometimes, because improper usage it may become sulphated. This is an issue with lead batteries and could be reversed using a special device which runs a pulsed small current through the car battery.